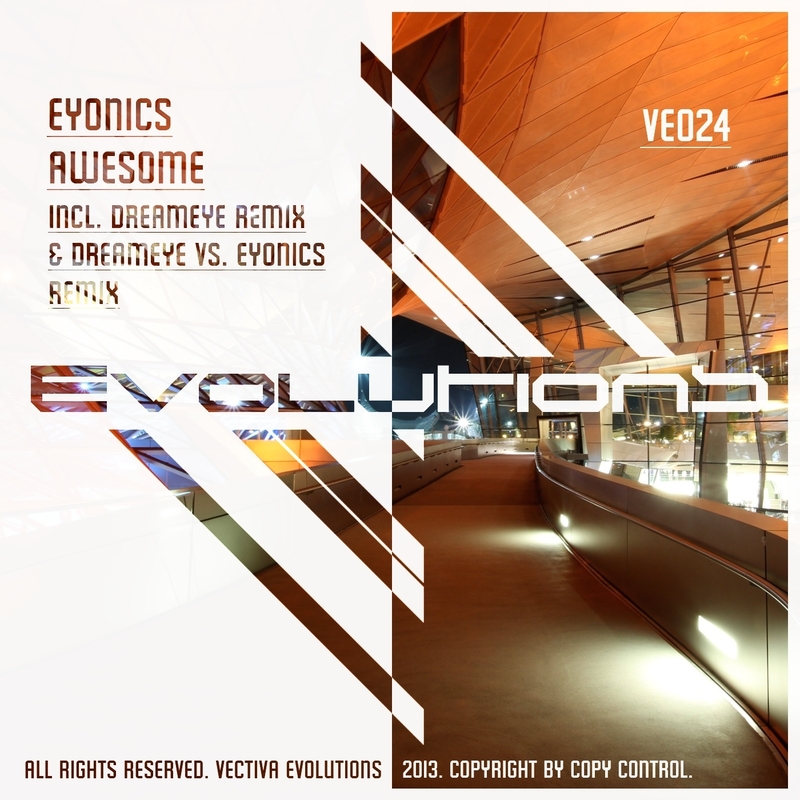 With „Awesome“ the german EDM Duo Eyonics presents their new single. Awesome is a trance-electro track with a sharp melody and a warm bass. „We want to reflect the power and energy which people take from faith“ according to the duo. Accompanied to the title the Dreameye Remix adds a powerful uplifting Trance touch. The third mix combines both mixtures as Dreameye vs. Eyonics Remix. He uses basically the same arrangement as the Dreameye Remix but uses the progressive sounds from the original version. So both mixes rounds up the release perfectly. Awesome is now available as digital release und the cataloguenumber VE024 at the german recordlabel Vectiva Evolutions.